You will earn 140.00 bonus points. ? Get work done with the LumiSource Noah Lamp. Ultra sleek, the arched wood neck is complimented by a stylish black shade and sturdy base, providing a retro vibe with modern appeal. 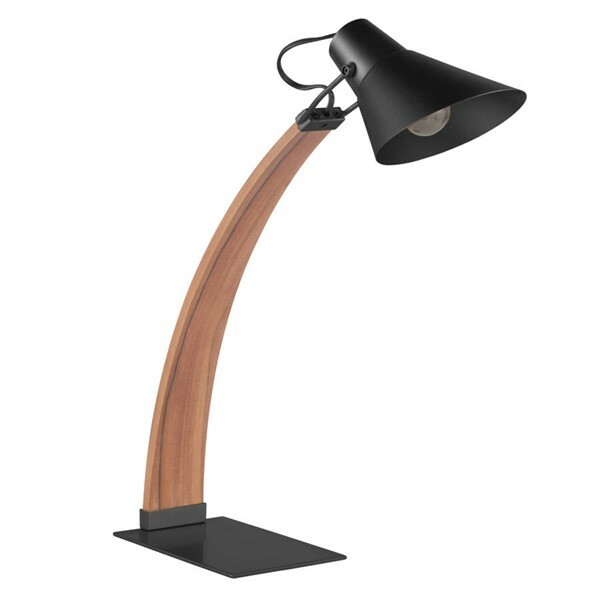 Ideal for a desk or office space, the Noah Lamp has an adjustable shade, allowing you to control where the light shines. Lamp Head Height : 17.75"